Make these dolls for the little girl in your life - she'll love them. Make Stacy Iest Hsu's latest - four little girl dolls. 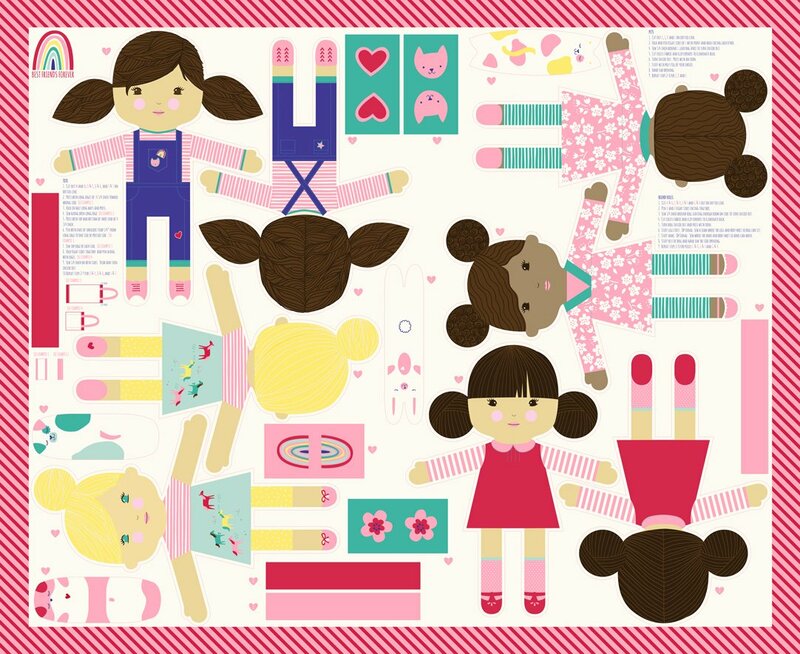 The 31" x 42" panel includes the pieces for all four dolls, their favorite things, a bag, and instructions to sew them all. You'll need to provide the stuffing, and some TLC during sewing. "Best Friends Forever" is a perfect gift, just because.